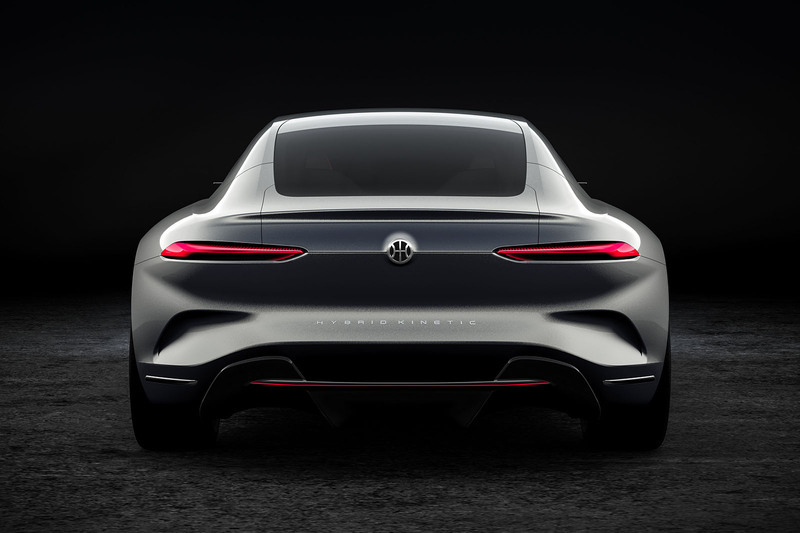 Pininfarina has revealed its latest joint project with Hong Kong-based Hybrid Kinetic Group - a 792bhp 2+2 coupé with gullwing doors. Like the previous concepts, badged K550 and K750 for the two SUVs and H600 for the saloon, the HK GT has a micro-turbine generator acting as a range extender. The previous concepts’ ranges were quoted at around 621 miles. The car’s top speed is claimed to be 155mph, and it reaches 62mph from standstill in 2.9sec - the same as the Porsche 911 Turbo S and Lamborghini Aventador. The HK GT’s battery is only a 20kWh unit - a fifth of the size of a Tesla Model S P100D’s – but the range is made up by the micro-turbine range extender. Hybrid Kinetic claims this runs at 40% electric efficiency, with 90% lower emissions than the US grid and 80% lower than EU6 internal combustion-engined cars. Four motors connected to two-speed transmissions power all four wheels, although rear bias is the norm for the car given its selective four-wheel drive. Regenerative braking also factors into its total range. An aluminium chassis keeps weight down to 1860kg - 379kg less than the Tesla Model S P100D. Outwardly, the HK GT is 23mm shorter than the Mercedes-Benz S-Class coupé but sits around 50mm lower and is 98mm wider. Depending on the driving mode, the grey-upholstered interior is lit in different colours - a calming blue for cruising mode and red for race mode. A digital dashboard behind the steering wheel displays different driving data according to mode. A central touchscreen in the dashboard is connected to another between the rear seats, and information can be shared between the two for an all-passenger infotainment system. 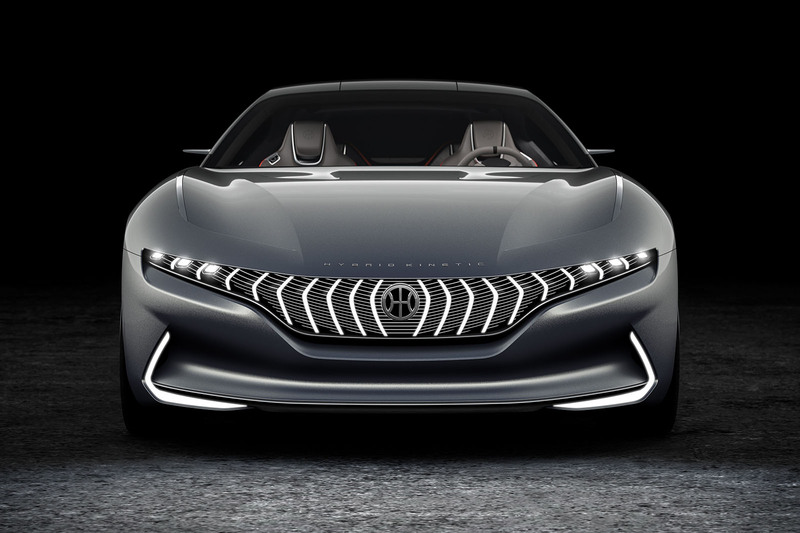 The car is the latest fruit of a £55 million, four-year partnership between Pininfarina and Hybrid Kinetic. Speaking previously about the two brands’ co-operation, Pininfarina CEO Silvio Pietro Angori said: "Hybrid Kinetic has chosen to cooperate with the Pininfarina Group thanks to the set of skills and technologies in the field of sustainable mobility that we have developed over several years. If I put my coffee in the door's pocket it will spill on my head when I exit the car?